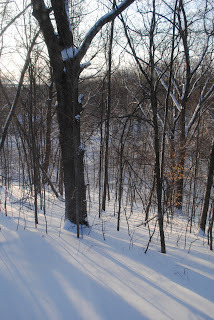 I have been appreciating the beauty of our woods this winter, every morning that the sun has shone through the trees. Now, living in upstate NY, the sun does not shine that often, I admit. But when it does, we really appreciate it. 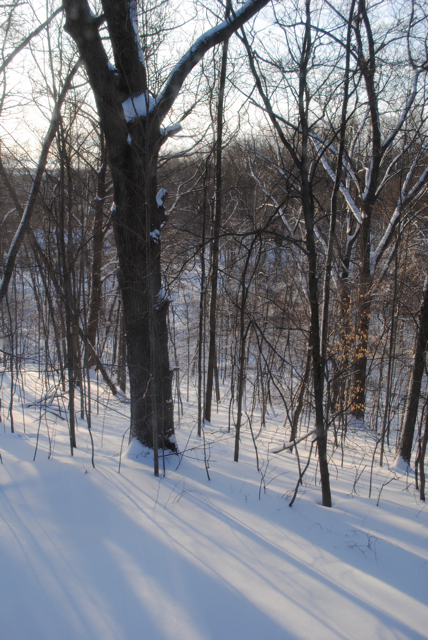 I love the way the trees reflect in the snow. Notice the angles of their reflections. One of these days I will capture them in an art quilt - probably some summer day when the humidity is oppressive!